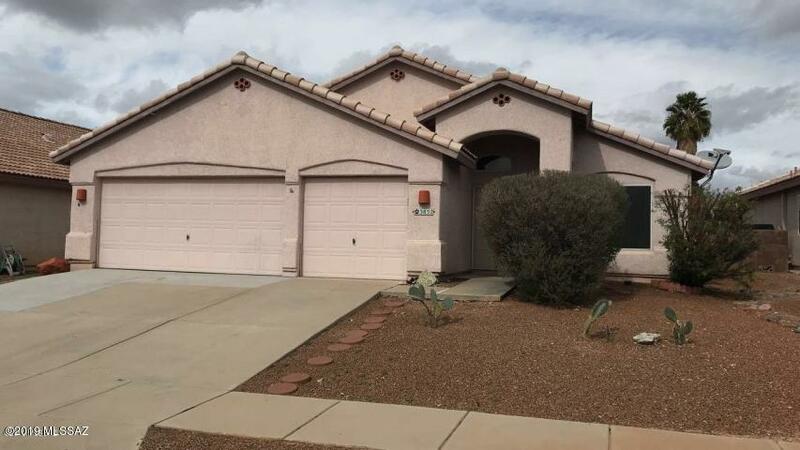 All North Star Estates(1-98) homes currently listed for sale in Tucson as of 04/23/2019 are shown below. You can change the search criteria at any time by pressing the 'Change Search' button below. "Don't miss your opportunity! This 3 bed 2 bath home with a 3 car garage is waiting for you. Highly desirable NW location is convenient to shopping, dining and schools. This home has a bright open floorpan and large bedrooms. Relax in your master bedroom with ensuite bath including a garden tub with a separate shower. Enjoy our beautiful Tucson weather on your covered back patio or by taking a stroll through this very well kept neighborhood. All appliances including washer and dryer will stay"